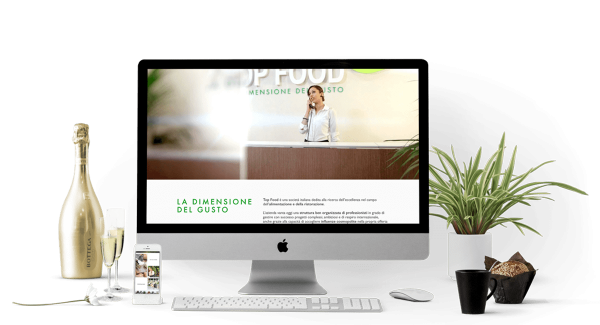 An important online showcase has been created for Top Food, which realizes a new chapter in the partnership with our agency that has been ongoing since 1998 and has since made each project a small success. Top Food Spa is a company operating in the management sector of hospitality areas for major events, able to successfully take on the management of a 1000-person convention as well as an event for the general public of over 60,000 people. The attention to detail and the great value given to the images has made it possible to create a site that is easy to browse and simple to use both on desktop and on mobile devices. Among the various sections is the activities one, designed to present the great variety of services and unique experiences that the company is able to conceive for its customers, confirming its vocation to be an indispensable partner for the success of each event.